Restaurante Nervión is located in the heart of the old town of Barcelona on Via Laietana, close to the Picasso Museum. This quarter attracts locals and visitors alike due to its location between the Gothic Quarter (Barri Gòtic) and the neighborhoods of La Ribera, El Born and Sant Pere. 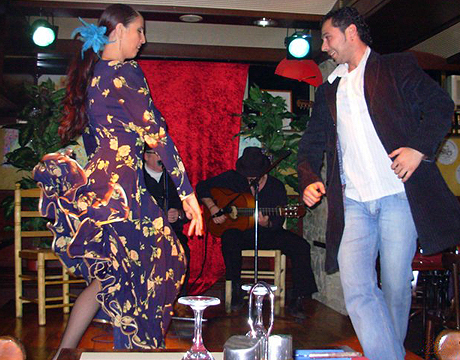 The atmosphere within the restaurant is of a typical Andalusian tablao, where you can enjoy a flamenco show with traditional Spanish cuisine or a drink. 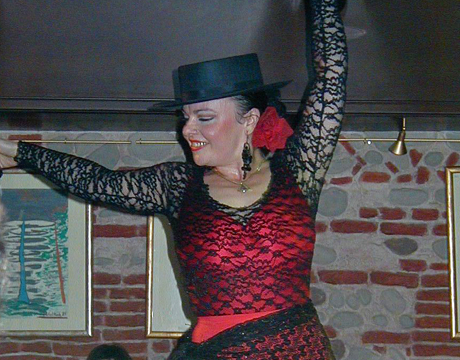 Every Thursday, Friday, Saturday and Sunday night musicians, dancers and grupos palmeros take the stage in the restaurant. 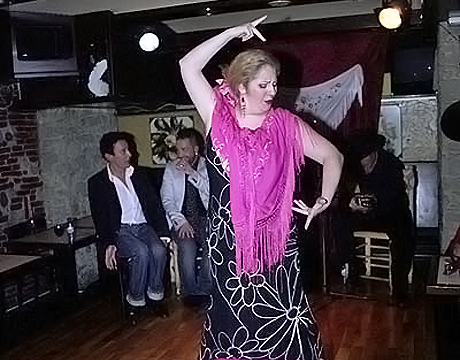 The flamenco show lasts about an hour and forty five minutes, with the performance of four or five different artists. 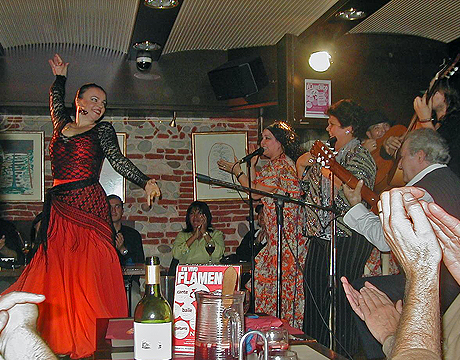 An hour before the performance the restaurant serves dinner starting with a selection of tapas, then a choice of a grilled steak or fresh fish. The meal is accompanied by a Rioja wine, sangria or refrehsments. The restaurant also offers special services for groups with a variety of menus and options for private events during the week.